This has been the summer of the peach. Peeeeeaches. It’s all I’ve wanted. I haven’t had many pregnancy related cravings this pregnancy, mostly just food aversions. But peaches, man. I can’t get enough of em! My craving wasn’t satisfied after canning 1/2 a bushel of peaches because you can’t eat what you’ve canned right that second. I mean, you could, but the whole point is to save them for later. Kind of a bummer when you are in the midst of needing to eat every peach in sight. 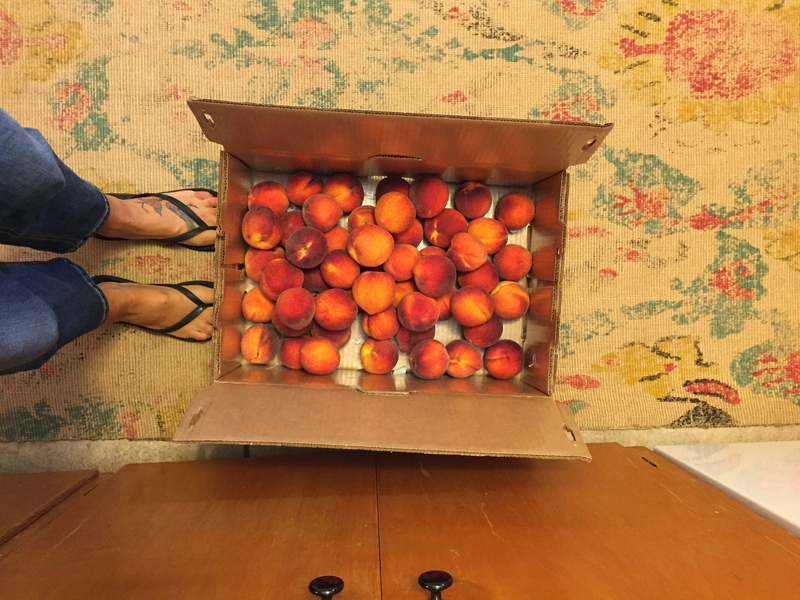 So anyways, one more 1/2 bushel box of peaches later, I think it’s safe to say that I’ve eaten my weights worth in fresh summer peaches. 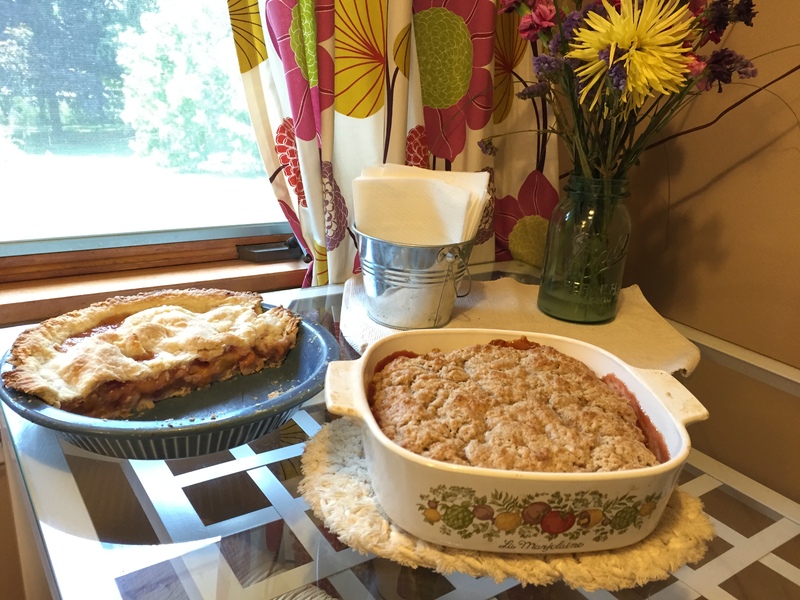 I made a peach pie, peach cobbler, canned the most amazing peach preserves, and then ate the rest in smoothies, on cereal, or by simply shoving them in my mouth. MMMMMMM. 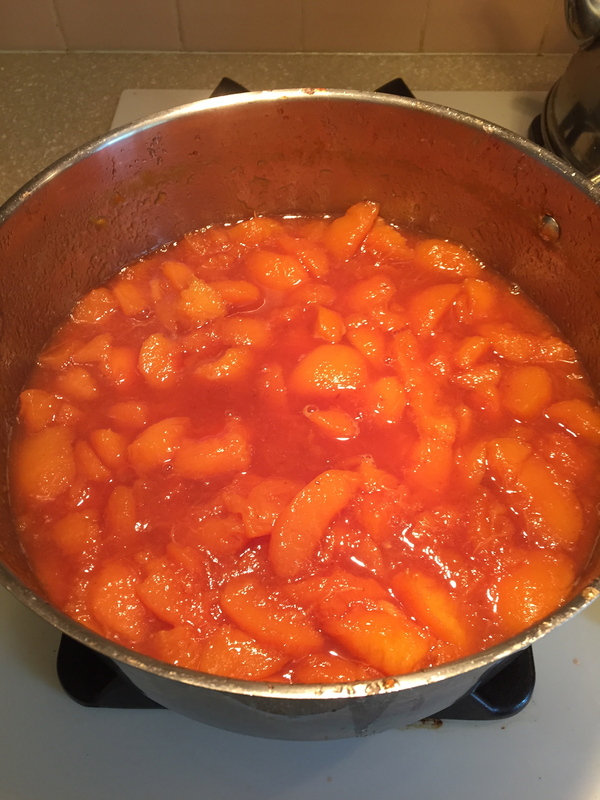 I used an unusual recipe for the peach preserves. I knew I would be canning the final product, but canning can be difficult with little ones because you can’t stop the process once you’ve started. Everything needs to be clean, hot, and done fairly quickly. 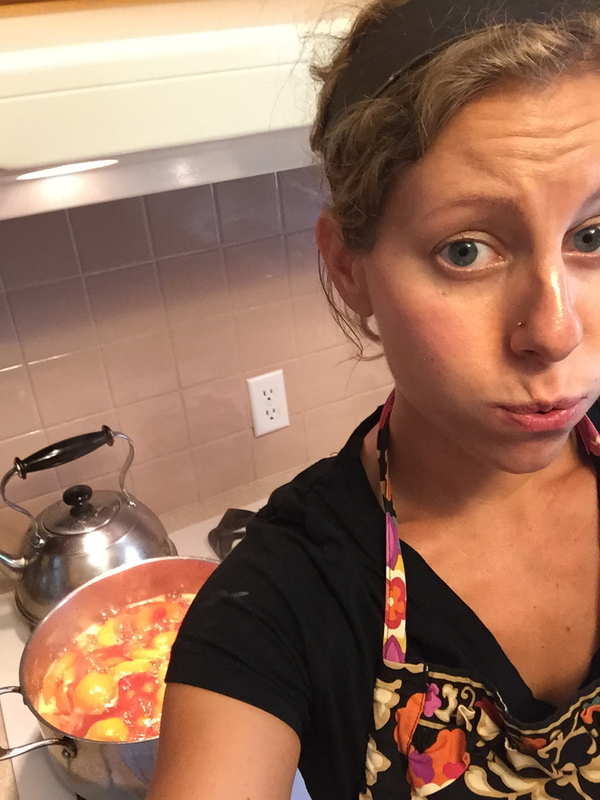 When I was searching for a good recipe for preserves (not jelly, not jam – preserves), I stumbled upon this recipe from the blog, Natasha’s Kitchen, where she uses a unique method to make her preserves. 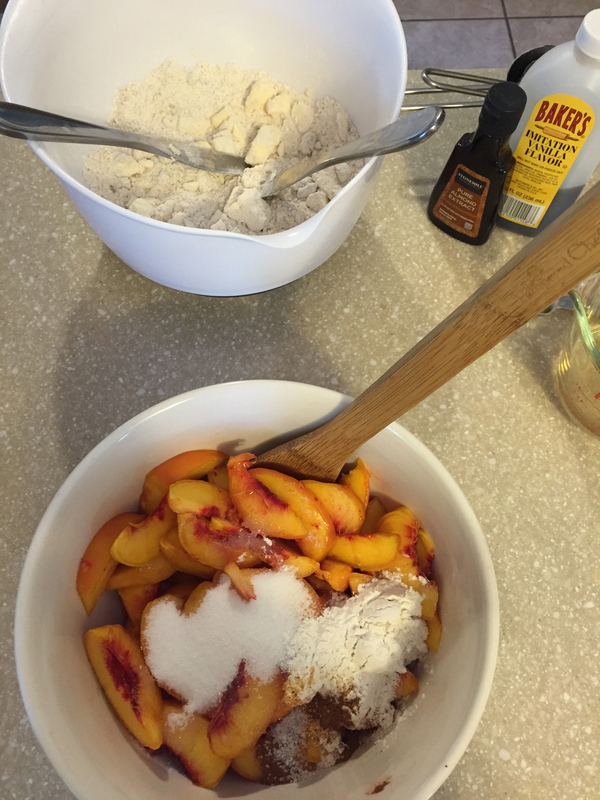 You bring the preserves mixture (peaches, sugar, lemon juice – that’s it!) to a full boil for ten minutes and then let it cool. You do this for a total of five times. 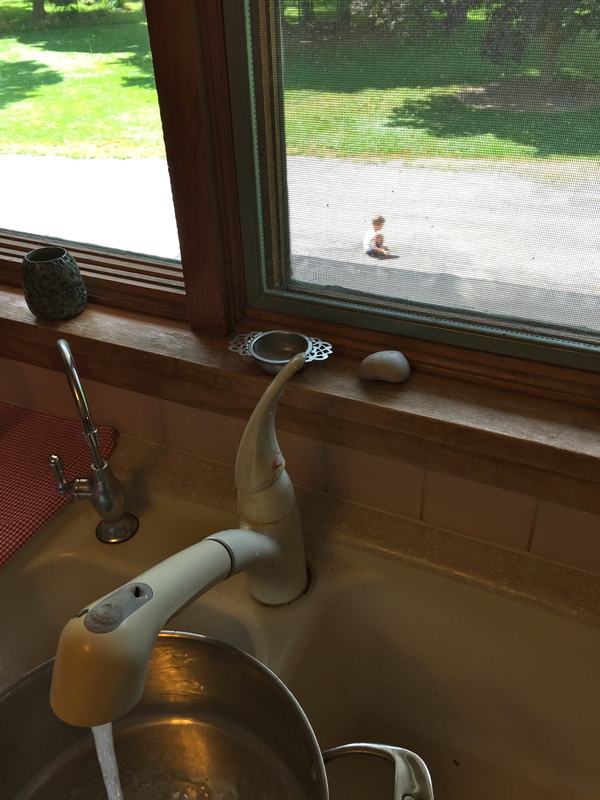 This might sound tedious, but it was perfect for this mom who is constantly getting interrupted and having to walk away from the kitchen. 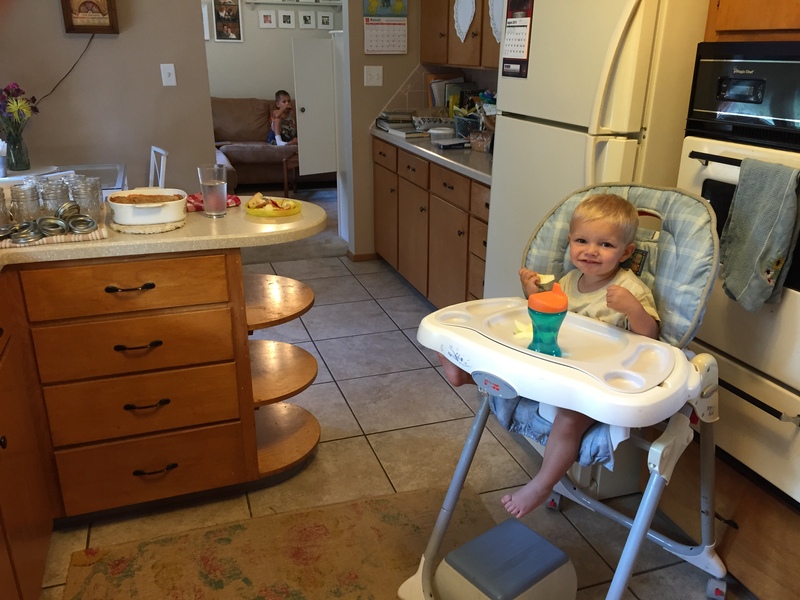 You could let it cool for as long as you need, say to run to the grocery store, change diapers, or make dinner. As long as you do it five times, there really aren’t any other “rules.” You just need to make sure you can it immediately after the fifth boil while it’s still hot. So for me, I just made sure that I didn’t bring it to the final boil until after the kids and hubby were in bed and I could get down to business. Worked like a charm! The preserves are, in a word, delicious. I want to put it on everything. So far we’ve discovered that it tastes amazing on toast, ice cream, waffles, pancakes, and of course – pb&j. 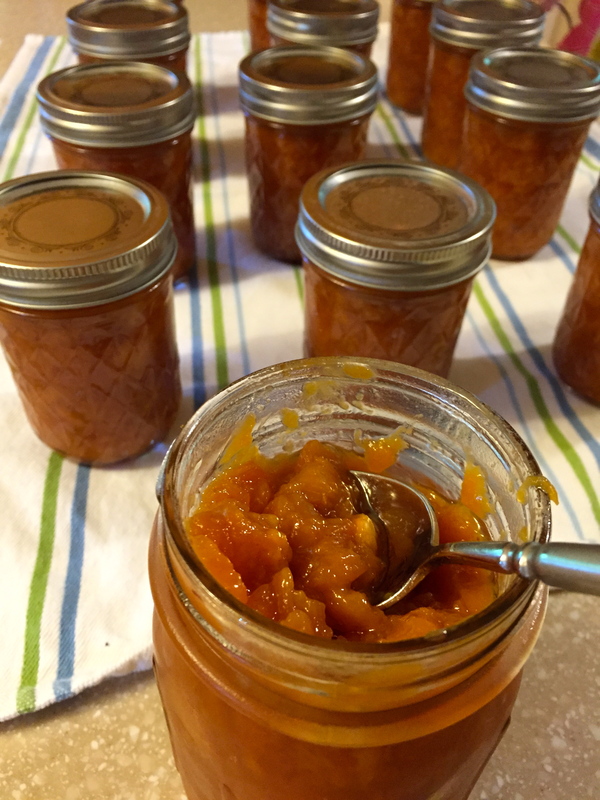 I will say that making preserves in my tiny little un-airconditioned kitchen at six months pregnant was a sheer test of stamina, but the results were so, soooo worth it! I used the recipe for a double crust and peach filling from my trusty Betty Crocker cookbook for the pie. Watching a my little boy play while I cook is one of the simple pleasures of my life :-). My resident helper and #1 peach eater. Everything looks so delicious! I’ve been majorly into peaches this summer, too. 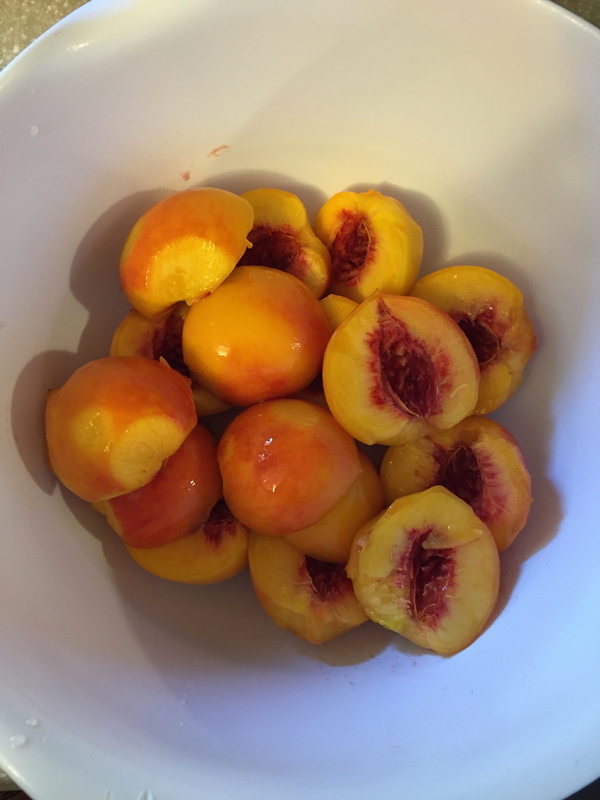 There is a recipe for spiced peach butter that I really wanted to try…but I haven’t been able to stop eating long enough to save any peaches. Ha. Oh yum! Is the spiced peach butter an online recipe that you could share the link? I loved your little post yesterday about the peach stand ;-).